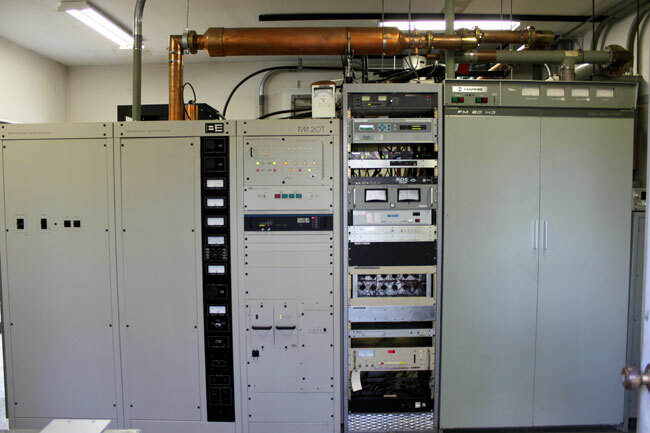 This is the main transmitter for WYJB in Albany, NY. The backup is the Harris FM20H3 on the right. I haven’t turned that unit on lately, but it normally makes quite a fuss the first time the Plate On button is pushed. The FM 20T on the other hand, is mellow and even tempered. One other thing of note; The FM20T is still on its original tube. 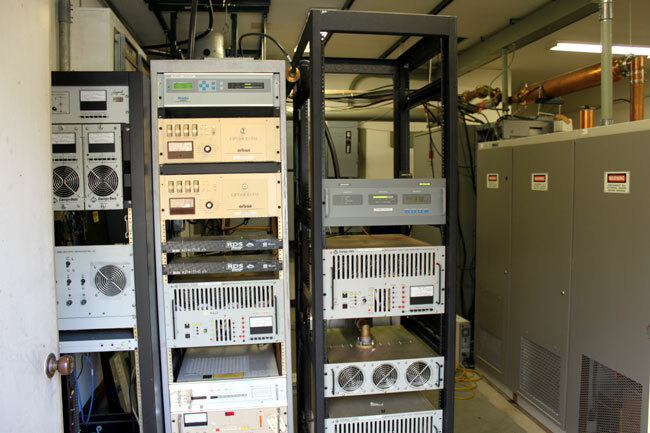 I looked up the maintenance records for this transmitter, it was installed in December of 2000. Eleven years later, the 4CX15000A is still cranking out 15 KW TPO, which is impressive. I found that high power ceramic vacuum tubes actually seem to last longer when run closer to their limits than those that are running at half power. After the tube is in the transmitter, run it a full filament voltage for at least an hour or so before turning on the plate voltage. 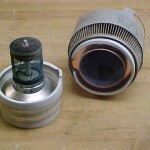 This allows the getter to absorb any stray gases in the tube. Once the plate voltage is applied, proper tuning should be completed a quickly as possible. Tuning procedures vary from transmitter to transmitter, however, the general idea is to obtain the maximum power output for the least amount of plate current while keeping the PA bandwidth within acceptable limits. 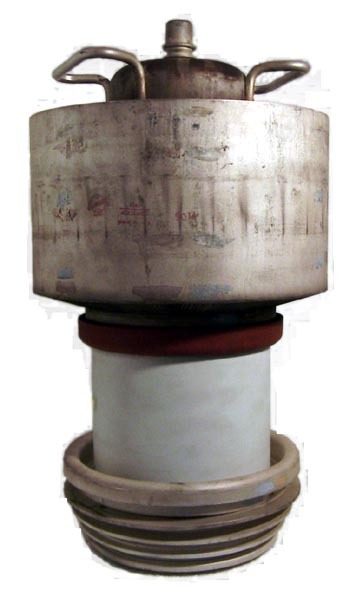 Some transmitters can get narrow banded at high efficiencies, which manifests itself as higher AM noise. After the tube has been in use for 90-100 hours, the filament voltage should be reduced gradually until a drop in the transmitter output power is noticed, then increased by 0.1 volts. This maximizes the filament life for that particular transmitter and power output. Once the filament can no longer boil off enough electrons, the tube power output drops and it is time to replace it. Not the prettiest sight in the world, but it does stay on the air. There is no money to go back and neaten up this work, unfortunately. The tower supports all three antennas. There was some discussion of a common antenna for all three stations, however, WZMR is a directional station, thus it would require it’s own antenna. 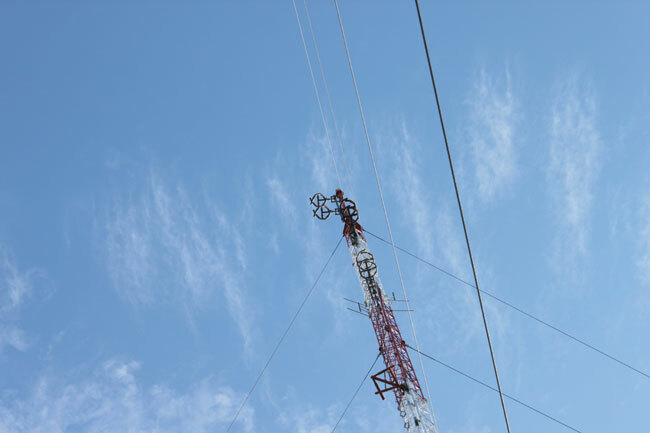 Doing a common antenna for the other two stations was cost prohibitive, so the tower supports three two bay antennas. The stations are all located in the New Scotland, NY tower farm. WYJB is licensed to Albany, WZMR is licensed to Altamont and WAJZ is licensed to Voorheesville. Hi,pls i got a job newly on fm station and i m not yet due for traininng.please can i be help on the basic,maintenance and repair of fm20t? I need enlightenment. You might want to get in contact with Broadcast Electronics, http://bdcast.com/support/rf-technical-services/ as they will have better information than I.